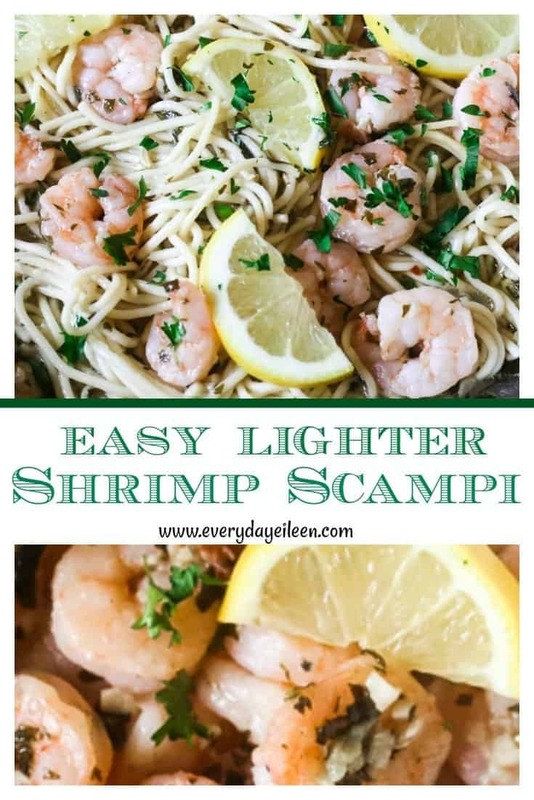 Shrimp Scampi, easy and delicious! 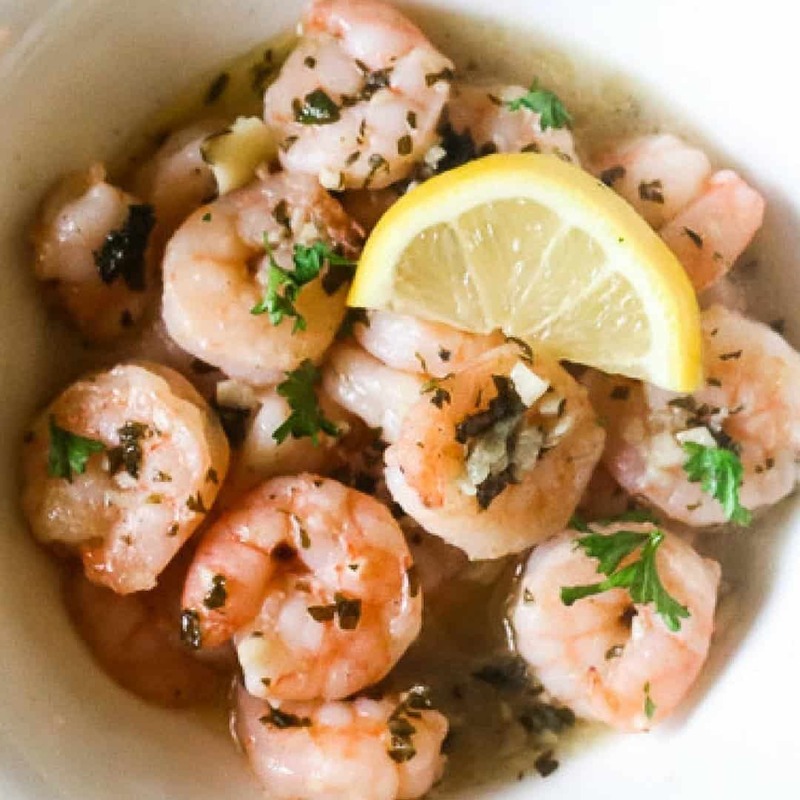 In 10 minutes, you have delicious shrimp that are full of flavor from garlic and white wine! Whether you are having a quick dinner, romantic dinner for two, or just plain want deliciousness, this recipe is for you! Serve the shrimp on its own with some side veggies, zoodles or spaghetti squash to keep low-carb! Shrimp Scampi and Pasta is always awesome! 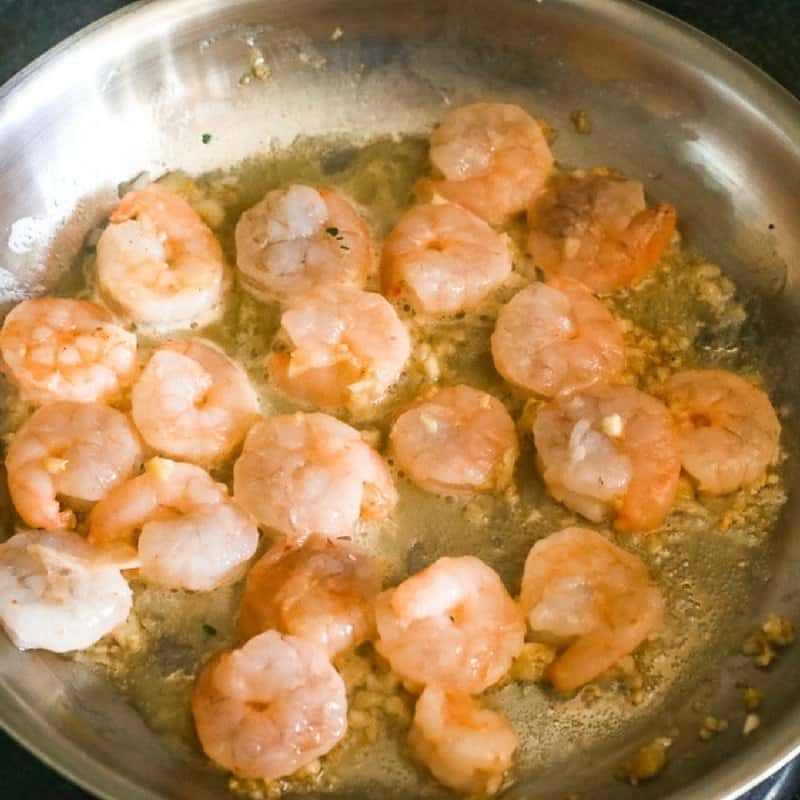 I love garlic and there’s a lot in this scampi recipe! 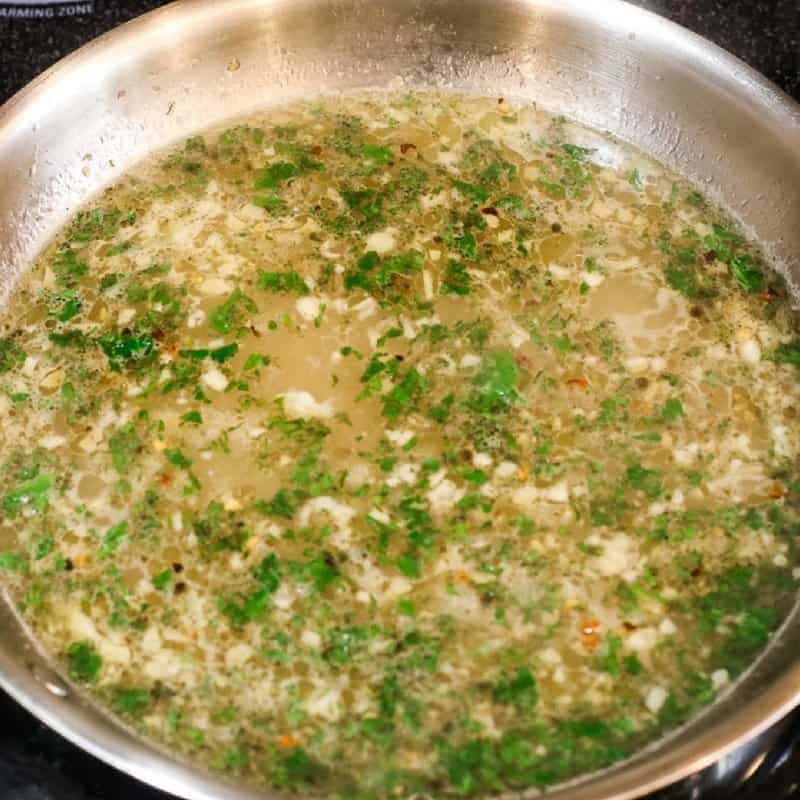 Limit the butter and use fat-free chicken broth, herbs, and red pepper flakes for a nice kick! The combo makes a low- calorie shrimp recipe that is super delicious! Serve over pasta, zoodles, or spaghetti squash! Trust me you will not miss the added oil and butter! This shrimp scampi is Ah-mazing! Shrimp is one of my families favorite foods and it is easy to cook and so versatile! This shrimp scampi recipe is so quick and easy to prepare and a long-time family favorite! When I prep our weekly recipes, there is no doubt that we will have shrimp! Shrimp Scampi is one of the most versatile recipes because it falls under so many categories! Easy, great for any night of the week, date night, dinner with friends, endless possibilities. This is one of those recipes that works for holidays like Christmas Eve, New Year’s, and Valentine’s Day! We make this shrimp for all of these holidays, our family tradition! Scampi implies using large shrimp prepared in a garlic sauce. Absolutely! 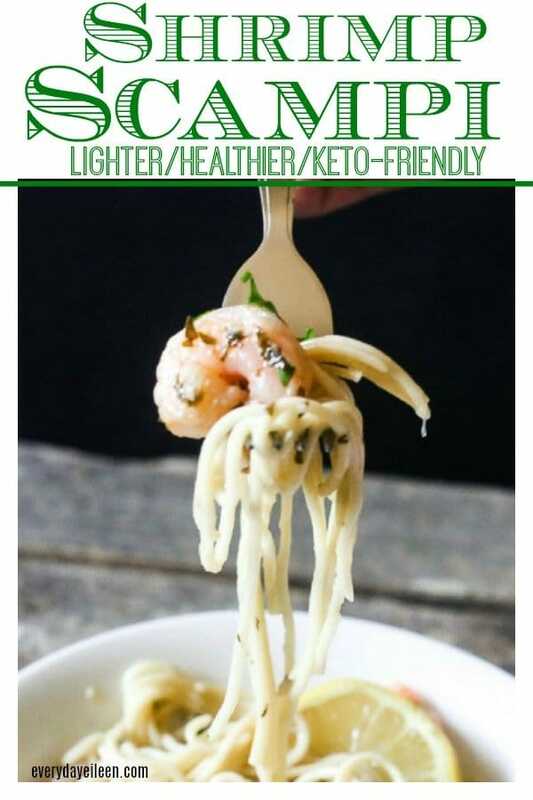 Shrimp have almost no carbs which make them keto-friendly. Of course, the recipe would have to be served with a low-carb side to remain keto. Can the white wine be replaced with something else because I don’t use wine? Sure, if you do not cook with wine, use more chicken broth and lemon juice. 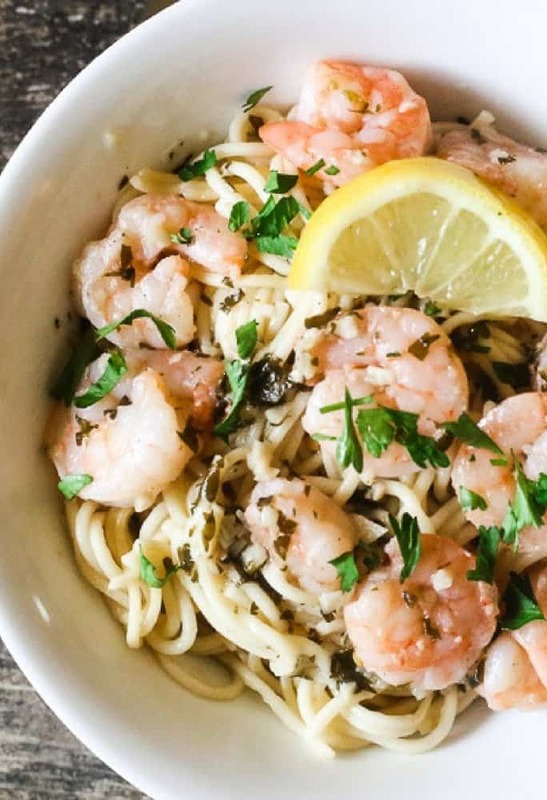 What pasta noodles are best paired with Shrimp Scampi? Can Shrimp Scampi be reheated? I find that shrimp get rubbery after being reheated. If you do reheat the shrimp, I suggest a quick saute in a pan. If you are a real facts enthusiast, this article from U.S. FDA on fresh and frozen seafood may be of interest for you! If making over pasta or zoodles, take the tails off the shrimp before cooking. Use unsalted butter, and add salt as needed to reduce calories. Feel free to add a fresh veggie, ie spinach, kale, escarole for added protein. The shrimp sautees quickly, the size of the shrimp will adjust the cooking time. I use a Pinot Grigio or a Chardonnay for the wine. Large shrimp are my favorite in scampi. 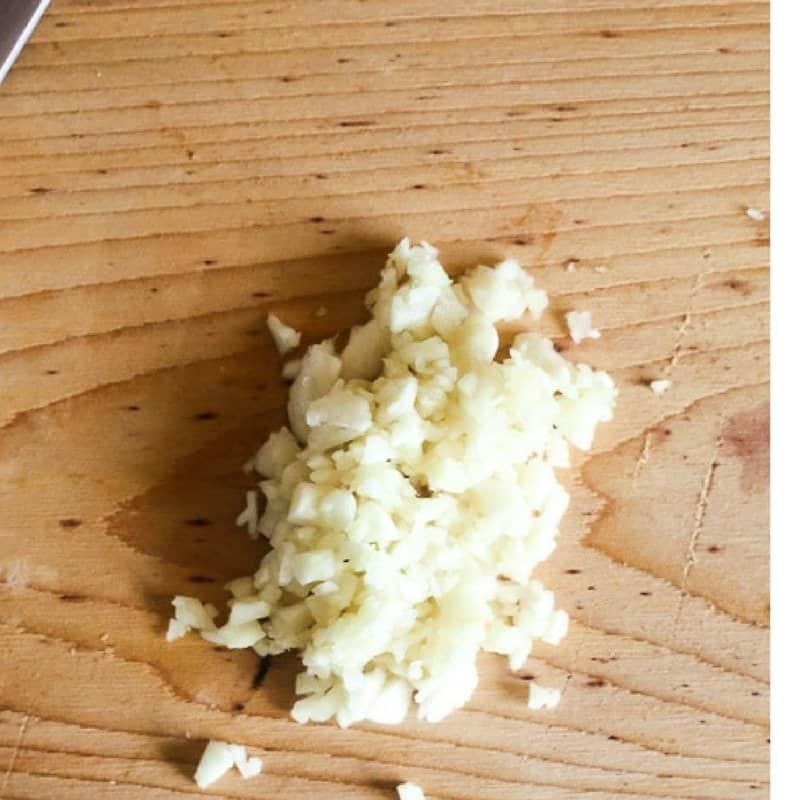 Chop lots of fresh garlic. 2. Heat saute pan over medium heat, melt unsalted butter. 3. Saute the garlic. Then, add shrimp. 4. Once shrimp is cooked, about 4 minutes. Remove shrimp and set aside. Add white wine, lemon juice, chicken stock, herbs, red pepper flakes, salt and pepper to taste. 5. Bring to a boil and reduce by half. Add back in shrimp. This is my skinny shrimp scampi! I love it for many reasons. Easy to prepare! Healthy, low-calorie, keto friendly and just delicious! Using fat-free chicken broth adds flavor and keeps the calories down. This shrimp scampi in August of 2015. I have updated notes and tips. Eggplant Pasta Sauce: A light and flavorful vegan sauce that is awesome with zoodles or pasta. Instant Pot Chicken Cacciatore: Another low-carb recipe that can be paired with either pasta, zoodles, or salad! 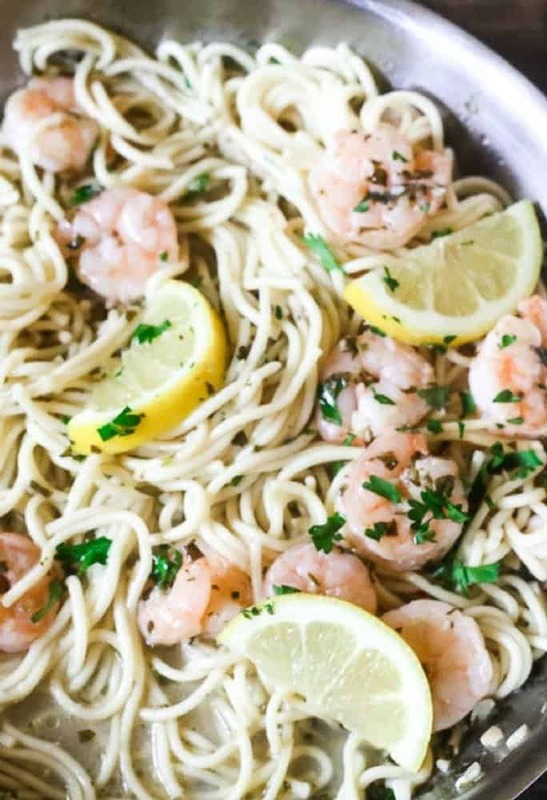 Are you loving this recipe for Shrimp Scampi, giving it a 5-star rating is super helpful for me and very much appreciated! A quick shrimp recipe with lots of garlic, wine, lemon, and hot red pepper for heat! Shrimp scampi can be served with pasta. Keep it low-carb and serve with zoodles, cauliflower rice, or spaghetti squash! 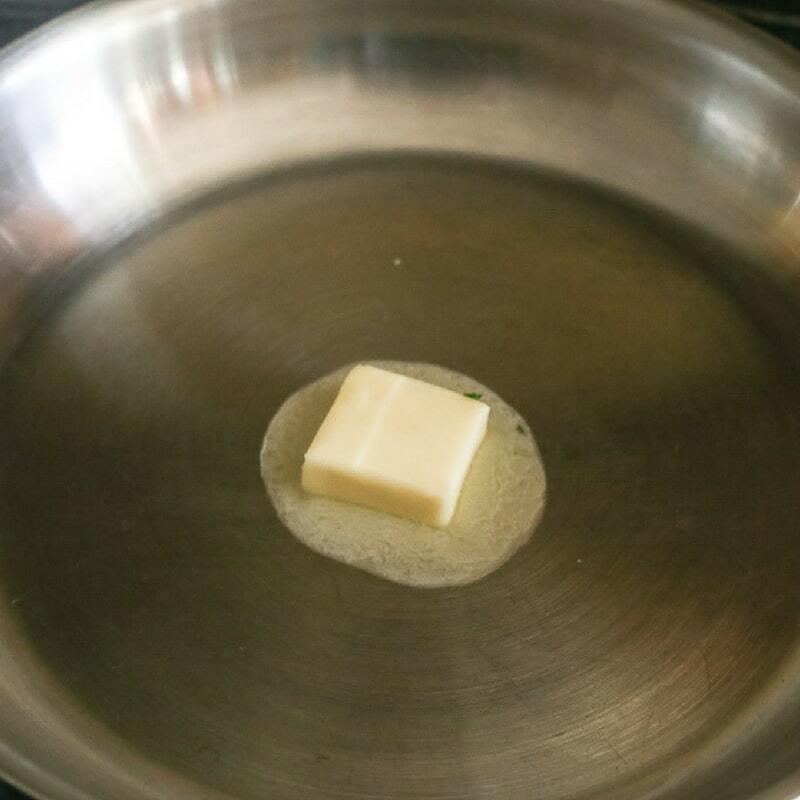 In a large skillet, melt unsalted butter. Add minced garlic, saute for a minute. Be careful - garlic burns quickly! Add the shrimp and saute until pink, about 3-4 minutes. Turn shrimp to cook both sides. Once pink, remove shrimp to a plate. Increase the heat to medium-high, add white wine! Cook about a minute, add lemon juice, chicken stock, red pepper flakes, and salt and pepper to taste. Reduce sauce to about half, about 2 minutes. Once reduced, add back in the shrimp. Add fresh parsley and oregano. Check seasoning. Adjust if needed. Serve and enjoy! Note 1: Serve with your favorite pasta, zoodles, riced cauliflower, spaghetti squash! Note 2: A great appetizer with some warm Italian Bread to dip into the scampi sauce. all nutritional value is estimated. This can fluctuate due to portion size and ingredients. This shrimp scampi in August of 2015. I have updated the post. I prepared this Shrimp Scampi recipe tonight, and it came out absolutely delicious. The only difference I made in the recipe is double the amount of the Garlic! Bon Appetito! I am loving this spaghetti recipe. I made it this New Year’s Eve Party celebration. My kids love it and they won’t stop eating. Thanks for this. Merry Christmas and Happy New Year! Xoxo. Thank you Jennifer! I am so glad the family loves the shrimp and pasta. We love it too. Happy New Year! I love a quick-cook meal! Sounds and looks delicious…it’s hard to resist shrimp! Awesome Elizabeth! I am glad you enjoy the shrimp recipe! Yup, it is quick and easy! Thanks for sharing on Meal Plan Monday!! Pinned and saved! This is such a family favorite! I love how easy it is to make! Thank you Nancy! Its a great one to make! One of my absolute favorite meals. You recipe looks so easy and delicious. I used to always order this when we went to an Italian restaurant because I was too lazy to make it at home. But I always think they use WAY TOO much butter:) Thanks for a great recipe I can make at home! 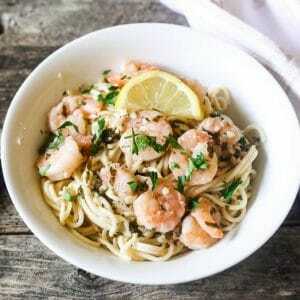 LOVE Shrimp scampi, and your photos are wonderful! I have an old shrimp scampi recipe that needs to be updated badly. I hope that when I get around to it, my version will look and sound as mouth-watering as yours! This looks delicious, and the pictures are beautiful! I agree Colleen! Shrimp is hard to resist! Scampi makes a quick and easy dish and so, so good! Beautiful dish, and I really love that you provide nutrition information with your recipes! Shrimp scampi is a great spring dish! Thank you Lauren! It is a favorite in our house! This sounds delicious, and I love the calorie count! Thank you Karen. I love adding in the calories to give an idea of what everyone is eating. We love shrimp scampi. I love how you’ve lightened it up a bit and still kept it full of flavor. This will be on our table soon! Thank you Mary. I am so glad you enjoy!